Today, let’s bring our attention to those who suffer all around the world. When we know that spiritually we are never really separated from one another, your pain has become my pain and your happiness is also mine. That is one simple illustration of what Oneness is. Disasters, huge and tiny, happen daily. To each and everyone of us. Once in a while, a bigger disaster comes as a way for us to reflect on how we are living our lives. But, when a huge disaster takes place, like the one which is happening now in Nepal, the world suddenly pauses and pays attention. It does take something massive to catch our attention, isn’t it? Many of us may ask: WHY? Whatever it is, it is certainly not a punishment from God. Now, let’s read a passage from Dolores Cannon’s book, Convoluted Universe II (2005). I am not claiming that this is the exact answer, but prepare to have your consciousness expanded. About death, death by accidents and death by natural disasters. The best way to respect these departing souls is to live life as the best version of yourself. Learn the lessons, make it worthwhile. Pray for all the souls who suffer all around the world. May every soul receives whatever needed: food, water, shelter, medicine, consolation, enlightenment. 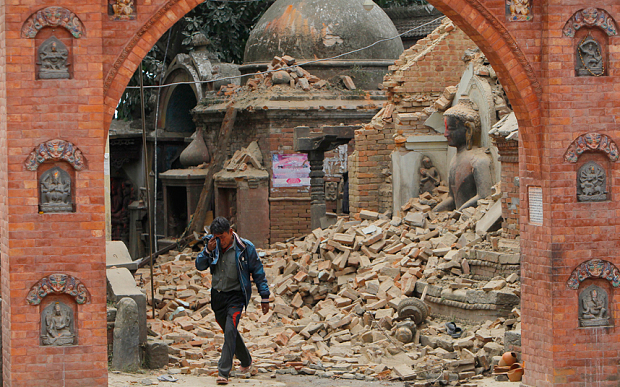 You may not be able to go to Nepal, and that’s okay, but you can help your own family and friends back home. Look around you, give a little smile and a little support, your little acts make a difference in the world. And if you care to donate for Nepal or for other social causes, do send me a private message because I have recommendations on the organizations I believe in and I am contributing to. I am so proud of you! Now that you have completed these exercises, it’s time for you to share. Go to my page and tell us what your prayers are and the act of kindness you do for today. Let’s inspire each other. And you would want to share this to your family and friends. See, it’s that easy to be kind! Thank you so much for reading and sharing. And I can’t wait to see you in our discussion page. PS: To read this newsletter in Bahasa Indonesia, click here.